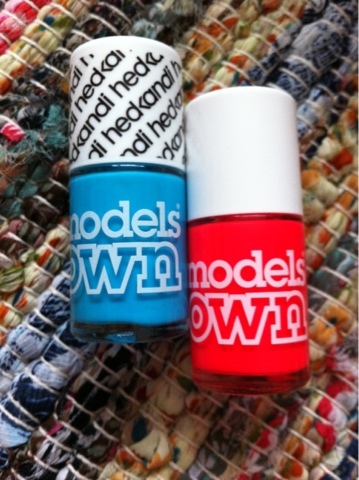 I'm sure you've all seen the latest nail collection from Models Own- Hed Kandi. If you haven't then you must, there's some amazing bright Neons which are perfect for this summer and the party animals out there. I don't have a lot of blues so this has been a really nice change. Plus after wearing Balearic Cool I've taken a liking to this colour and think I may have to investigate some more blue shades. I did find though that Balearic Cool was a little disappointing formula wise and I did need 3 generous coats to get a nice even finish. Has anyone else had the same problem with this shade? Hedonist is an amazing hot neon shade, with a matt finish. I like the glossy finish so I've been using a top coat. This is an amazing toe nail colour and looks amazing with a tan, I've not yet tried this on my finger nails but will be trying it really soon. There's another 3 more shades from the Hed Kandi collection, one of which has become very popular- Ibiza Mix. I've been to a few Boots to try and pick this one up and sadly each time I've been it's been sold out! Have you seen or tried any of the Hed Kandi Collection?